I’ve had graduation on my mind lately. 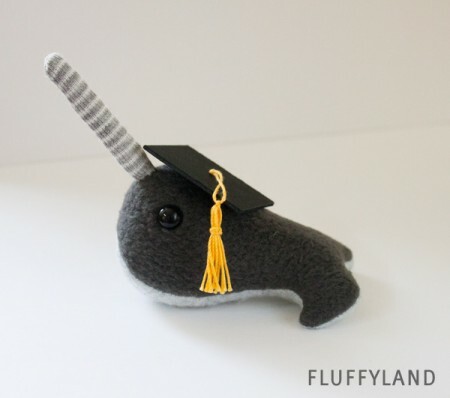 And when the idea to make a tiny Graduation Narwhal popped into my head, I couldn’t shake it. 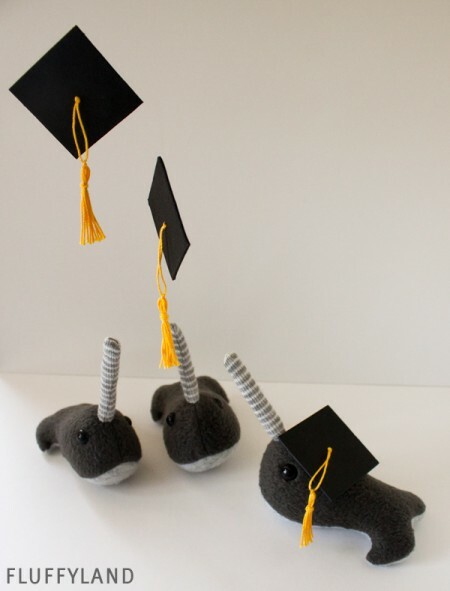 So here he is, a very intelligent narwhal. He’s so proud to wear his cap. 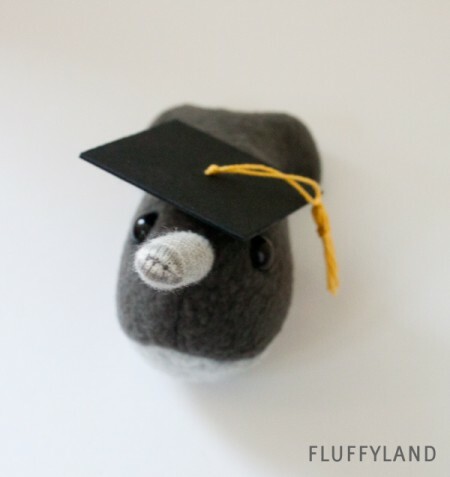 Of course, it pins on… so when graduation day is over, the cap can be easily removed. I couldn’t resist taking a class photo… because what good is a graduation cap if it doesn’t go airborne? 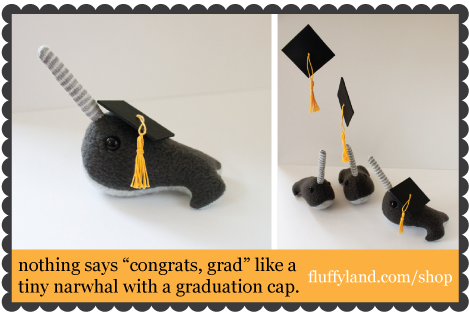 The tiny narwhals with graduation caps are available in the Fluffyland Shop. Quantity is limited, since I don’t have too much time to spare… but I had to make a few, since they’re just too adorable. Hopefully now that this idea’s out of my head, I can finally finish the last of my homework (ever!) !